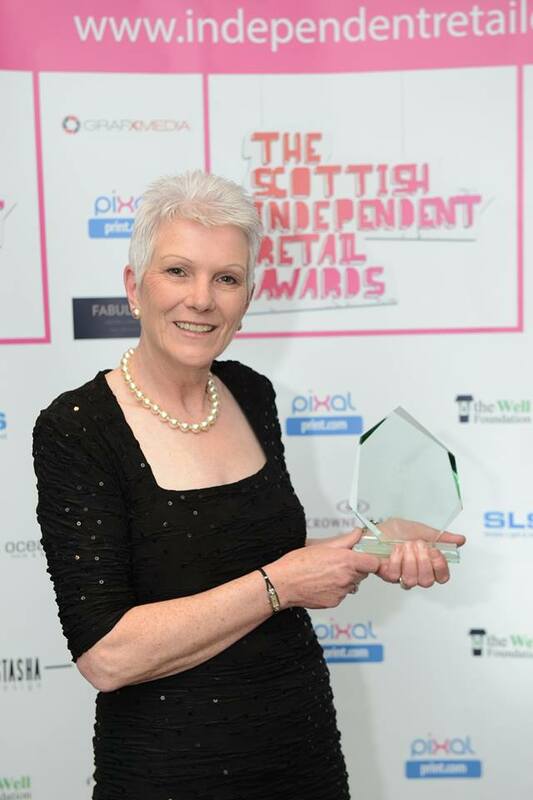 Fife Farmers’Market were honoured at the annual Scottish Independent Retail Awards recently held in Glasgow. Fife Farmers’ Market won its category – Farmers Market of the Year. Barbara Wardlaw, market coordinator and secretary, said they were up against six other markets across Scotland. She said: “We were absolutely thrilled to receive the award. It was the public who voted for us in the first instance and it is great to know our customers are rooting for us”. Barbara said they had to provide supporting evidence to the judges to show what they were doing. She explained how they run markets each Saturday at St Andrews, Dunfermline, Cupar and Kirkcaldy and how they engage within each local community, with a free stall for community use, and taking the Farmers Market into local schools to educate youngsters about what they are doing to promote fresh, high quality and healthy food. Other supporting evidence put forward included working with Business Gateway Fife offering “New” food and drink businesses an opportunity to trade at Fife markets this assists new businesses in getting established in finding their customers, promoting their business, gain valuable consumer feedback on their products enabling them to make future business decisions. Networking with local Chefs’ in hotels and restaurants and local educational colleges has enabled cookery demonstrations to take place at markets. Working in partnership with local organisations such as Food from Fife, Visit Scotland, Fife Council and local Festival organisers has assisted in promoting lots of Food and Drink businesses locally and helps attract visitors to Fife. Barbara said, they will continue to seek new ideas and work further to promote the food and drink industry, and make Fife a great place to eat and drink.